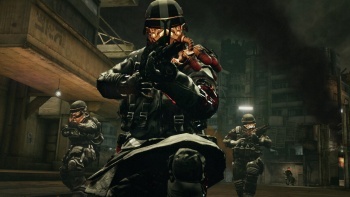 Sony's triple-A shooter Killzone 2 will be getting the 3D treatment this summer. Adding a third dimension to things is all the rage now, and Sony has no plans to be left behind. As well as a firmware update in June for the PS3 which will allow the console to display stereoscopic images; Sony will also update Killzone 2 to be compatible with 3D displays. The information was revealed in the latest edition of PSN series Qore, and indicated that Killzone 2 alongside Wipeout HD, Super Stardust HD , LittleBigPlanet and the yet to be released Gran Turismo 5 would be 3D compatible. You will, however, need a 3D capable TV, so not everyone is going to be able to take advantage of this update. It's also worth noting that all the games mentioned are Sony-published titles, with no third-party announced so far. It's still early days however, and that could all change.